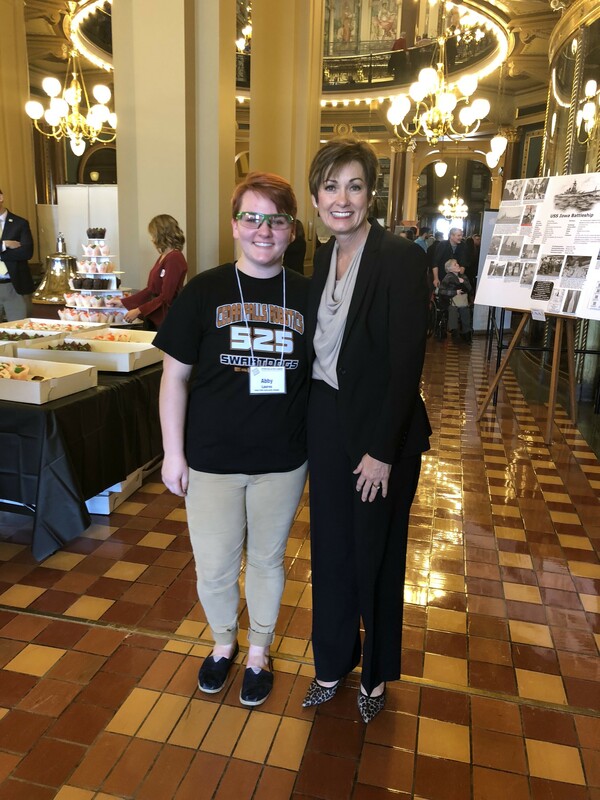 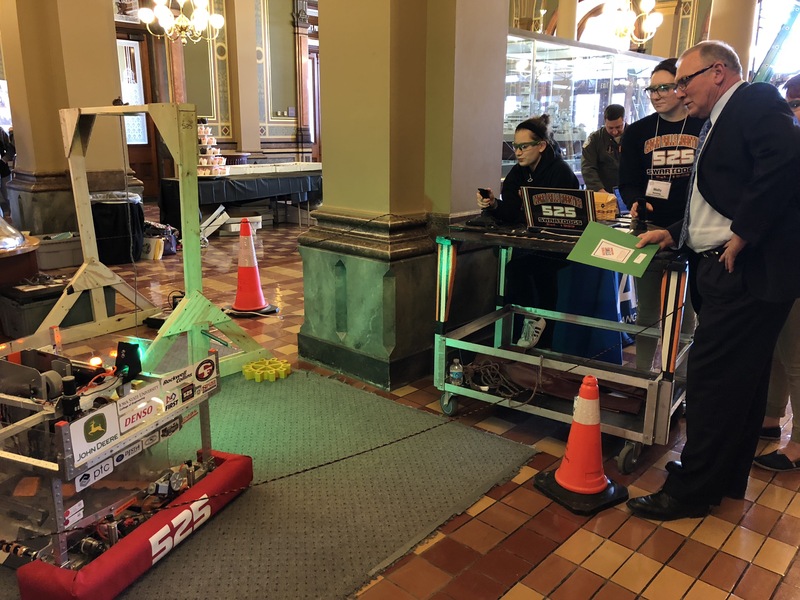 We travelled to the Iowa State Capitol for the Governor’s Annual STEM Day. Here, we talked to legislators about FIRST and the Scale-Up Program. We demonstrated our robot for legislators and visitors. 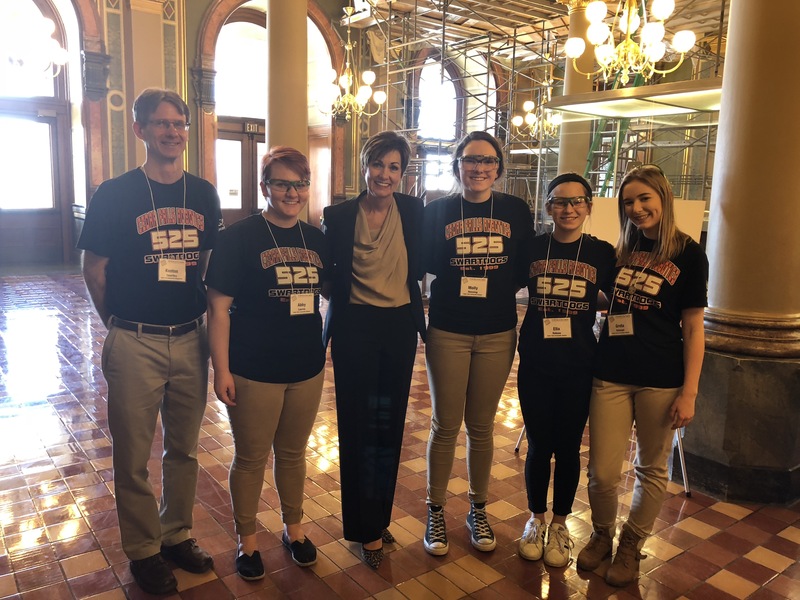 We also met Governor Kim Reynolds and talked with her about FIRST.